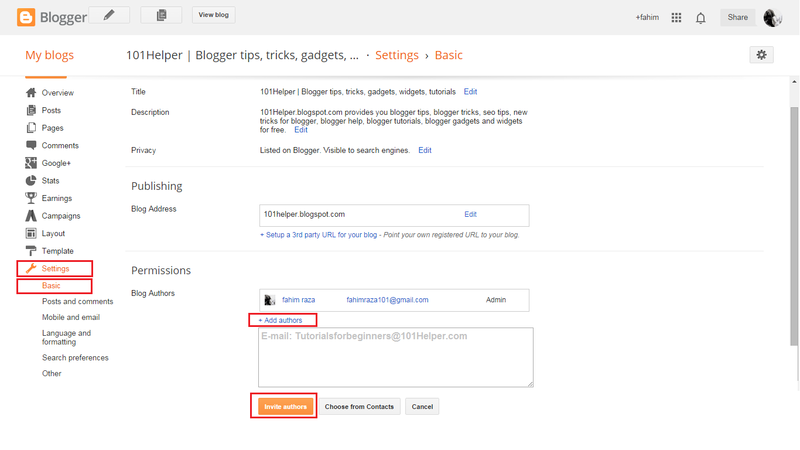 How to add authors to your blog by E-mail and add Jooin this site gadget to your blog | 101Helper blogger help, tutorials, gadgets, widgets, tips and tricks. 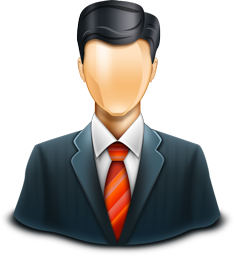 If you are searching for how to add authors to your blog then you are at right place. A blog with multi-authors grows faster as there are many authors working on the same blog and this blog have a rich content too because a blog which has more authors generates more posts as compared to a blog which has only one author, many bloggers add a gadget to their blogs to get more people to write for them(Join this site gadget), but it only works with those who have more subscribers and readers. (2). Click settings, select basic and find +add authors in the permissions tab. (3). Click +add authors and write down the E-mail address of that person whom you want to invite or click choose from contacts to invite someone from contacts. (4). Click Invite authors and you are done! When your friend or someone who you invite opens his e-mail, he will receive a mail asking him to join your blog as an author. After confirmation he will become author of your blog. If you have any question regarding this post ask me in comments. Subscribe to news letter to get instant updates. Search Tags: How to add authors to your blog by E-mail and add Join this site gadget to your blog, 101Helper tips and tricks for bloggers, tutorials for beginners to blogging, seo tips for bloggers and webmasters.